A small and struggling rural school, a phenomenal chess program, a tiny lobster fishing island off the coast of Maine. Twenty-eight hundred year-round residents, just over 200 students grades K-8. Fourteen million pounds of lobster landed annually. 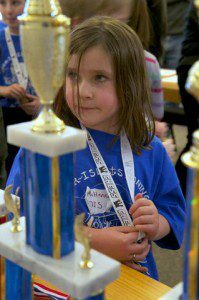 Thirty-three titles at Maine state scholastic chess competitions in 20 years. In 2012, a 6th-place finish at the U.S. Chess Federation National Scholastic competition. Since 1993, Deer Isle-Stonington Elementary School chess teams have played out a David vs. Goliath story, routinely defeating larger, academically prominent and better-funded public and private schools across Maine. This is a stellar achievement in a small rural school with a lackluster academic reputation and declining population. What makes this success possible year after year? And how does “chess success” impact these generations of students, their school and their community? What makes “a winner” and what does this mean within the larger educational and social context for these children’s lives and their futures? 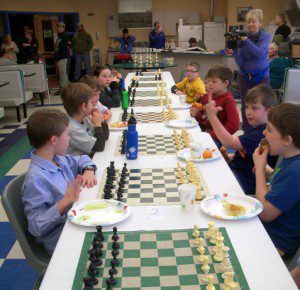 Our documentary about children and chess is at the same time a portrait of a tightly knit Maine island where many of the chess-playing students boast family names going back four or five generations and the poverty rate hovers around 40 percent. Their struggles are played out both on and off the chessboard.